Our discussion-driven, adult learning environment develops strong business and accounting skills. You will be comfortable, challenged, and grow while collaborating with peers and faculty who really care. Yes, at SAU you can finish your bachelor's degree in a supportive and accommodating environment. This program also is offered 100% online. Our adult students are following unique paths and working at their own pace, but they share a commitment to earn their degree. At SAU, we commit to help you succeed. You get small classes, exceptional faculty, discounted tuition, and eight-week courses – half the time as a traditional classes. As a working adult, you can earn your degree faster, more affordably, and still have time to enjoy life. Whether you work full-time or part-time, this program fits your schedule. Our eight-week courses are held once a week in the evening or on Saturday in Davenport; our hybrid courses are a mix of online and in-seat classroom lessons; you can take a course fully online; or attend traditional morning or afternoon classes on campus, too. You will deepen your communication and problem-solving skills, and gain the knowledge you need for a successful career in accounting, whether you work in the public, private, non-profit or government arena. Courses include Cost Accounting, Auditing, Income Tax Procedures, Written Business Communication, and more. If this isn't the right degree for you, we offer other concentrated degree programs for adults. Or, check out our traditional degree programs. Credit for Life Experiences? You bet! For more information, contact Jeff Karll, at 563-333-5709 or email KarllJefferyJ@sau.edu. 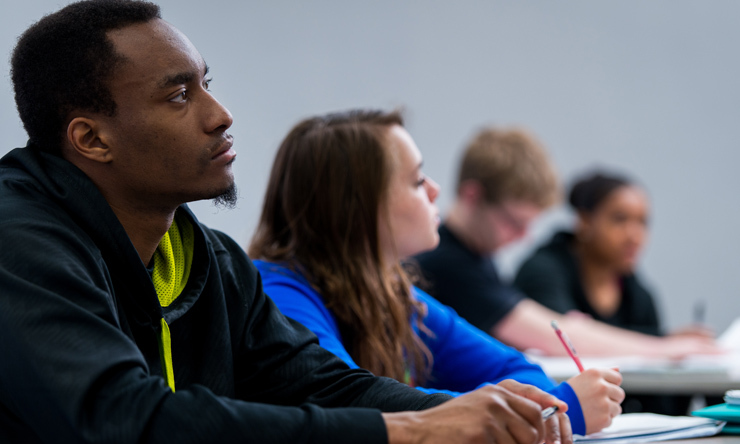 How does SAU support the educational goals of the working adult? Our faculty are not only experts, they are supportive and willing to meet with you and help. Just ask. 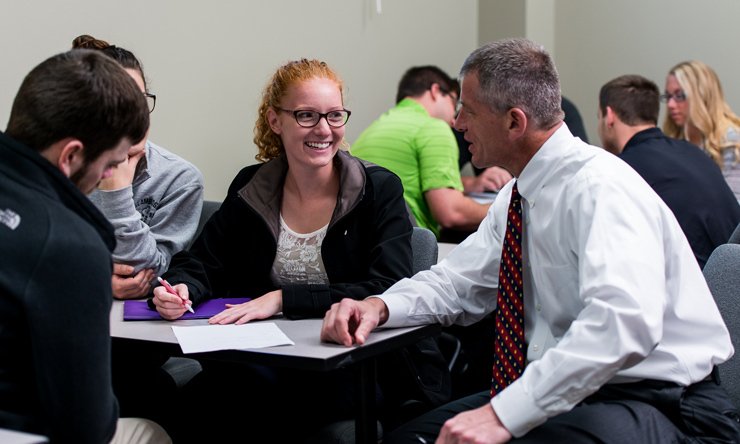 Our Student Success Center provides free tutoring, paper and project review and guidance, and more. No need to call. Sign up for a one-on-one session online. You may have earned some or all of these general education credits. These are required for your degree, followed by the credit hours needed. If you are missing one or more, don't worry. We will help you figure out what courses you need and give you options that work with your schedule and life.